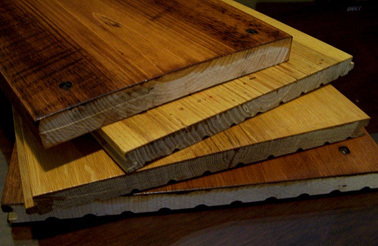 Sourcing and milling boards is definitely important, when it comes to wide plank flooring. However, even the most stable, carefully selected and milled boards can produce a sub-par wide plank floor if the installation is botched. Once your wide planks have had ample time to achieve an equilibrium with the room, you’ll want to discuss installation options with your customer. Your sub floor will play a role in determining moisture control and fastening techniques. A tongue and groove joint allows for movement across widths of boards, assuming an expansion gap is provided. That gap will open during dryer seasons (typically winter, when the heat is on) and close when moisture in the air is being absorbed (usually during summer months). 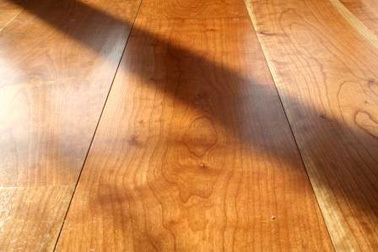 Many tongue and groove patterns provide for an undercut shoulder on the tongue side, allowing the plank to be toe-nailed to the sub floor. By anchoring one side of the board and pushing movement to the other side, the gap will be closed or opened with the other board. If the client prefers not to see gaps, the floor could be installed as a floating floor that expands and contracts as a unit, with the single gap at the edges of the room hidden by a shoe moulding. Even with a floating floor, buckling or unevenness can be an issue due to uneven movement of each individual board. 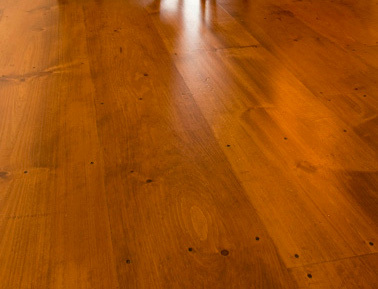 Even with carefully selected, dried, milled, and installed wide plank flooring, instability remains a factor. Long-term success largely depends on the environment. Since wood movement occurs as a result of fluctuations in humidity, a humidity-control system specifically designed for the room with wide-plank flooring is perhaps the best way to protect the investment. Such systems are more often used in labs where precise humidity levels must be maintained. Because they maintain the room’s moisture level all year, the flooring can remain in equilibrium, almost completely eliminating movement. Even though it takes special measures in order to work, wide plank flooring makes a stunning statement. With a knowledgeable supplier and an experienced builder, you can achieve this trending look that will stand the test of time. Since 1798, when Hugh McIlvain established a lumber business near Philadelphia, the McIlvain family has been immersed in the premium import and domestic lumber industry. 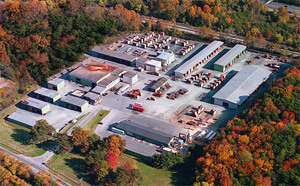 Headquartered located just outside of Baltimore, the J. Gibson McIlvain Company is one of the largest U.S. importers of exotic woods. Contact a representative at J. Gibson McIlvain today by calling (800) 638-9100. Want to speak with a live sales representative? Call (800) 638-9100. Or you can email us and your inquiry will be sent to one of our in house sales representatives. Why Is Walnut Wood So Expensive? We are actively involved in forest management & hold membership in IWPA, an organization devoted to the promotion of legal, ethical & sustainable forestry practices. Since 1798, when Hugh McIlvain began a lumber business near Philadelphia, the McIlvain family has been immersed in the premium import & domestic lumber industry. 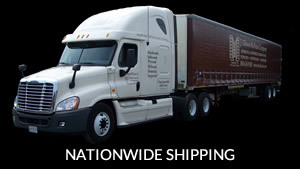 To see more of our offerings visit www.mcilvain.com · Our fleet of trucks delivers nationwide.